Free Starter Kit with Every Chicken Eglu & Find the Golden Egg to Win! 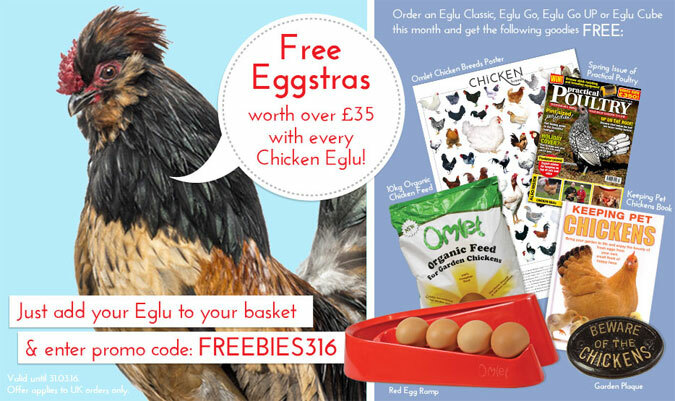 Free Eggstras worth over £35 with Every Chicken Eglu! 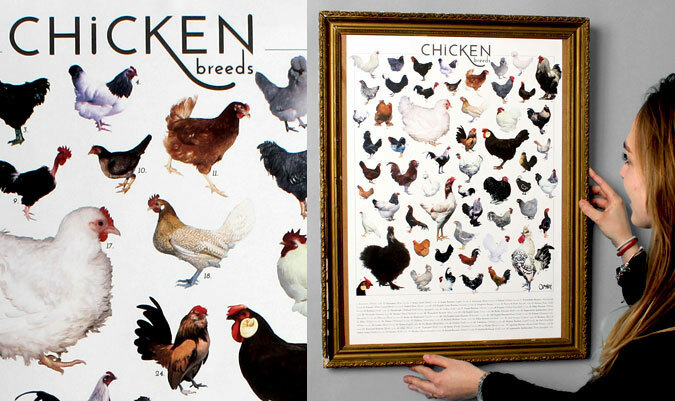 Spring is just around the corner so now is the perfect time to introduce a flock of hens to the garden. In fact this month is better than any to order your Eglu Chicken Coop because we’re offering you a whole bundle of eggcellent accessories for free! Your Chance to Win an Eglu Classic Chicken Coop! Order an Eglu Egg Cup this month and you could be the lucky winner of an Eglu Classic Chicken Coop worth £449.99! We’ve hidden a golden egg in one eggstra special Eglu Egg Cup and you just need to find it to win. Why not treat yourself to this adorable replica of a design classic to make your boiled egg breakfast even more magnificent than usual!? You never know…you could soon be collecting that egg from your own chickens too! And with Easter just around the corner, this offers the perfect gift alternative to a chocolate egg. Feeling clucky? Click here to order your Eglu Egg Cup today for just £8.99! The Free Eggstras with Every Eglu offer is not valid in conjunction with any other Omlet offer. The offer expires at 11:59pm on 31st March 2016. Offer applies to UK orders only. Previous purchases are not eligible for this offer. 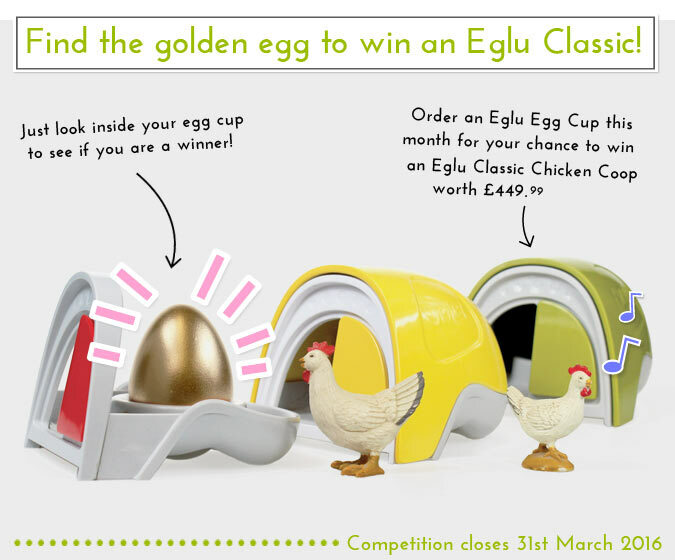 The Eglu Egg Cup competition closes at 11:59pm 31st March 2016. Competition open to residents of UK, France, Germany, Ireland, Italy and Spain. An Eglu Egg Cup must be purchased to participate. The customer that finds the golden egg is the winner. The winner will need to follow instructions inside the golden egg to claim his/her prize. The prize is an Eglu Classic with 2m run. No prize alternative will be offered. « Win an Eglu Cube for your Mum this Mother’s Day!